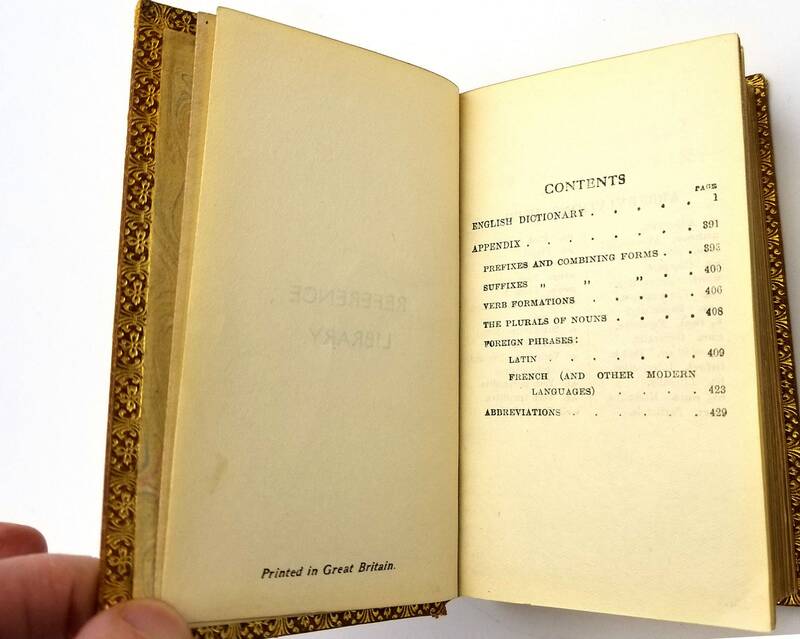 Description: A mini book. No date, possibly 1930 (the final page indicating the printing location of Watford with the number "30.366"). 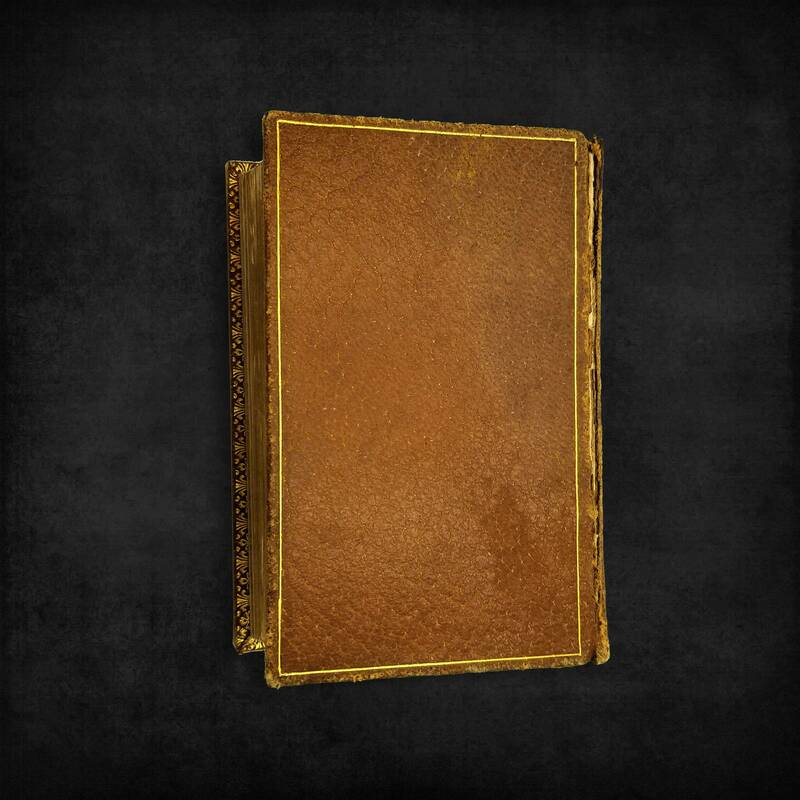 Leather covered boards with gilt stamping around the interior pastedown margins. 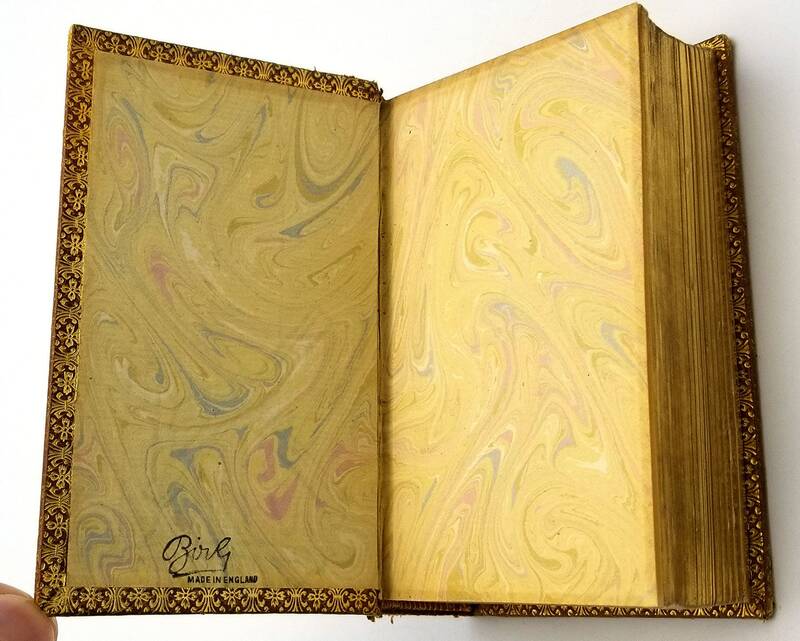 Marbled end papers. All edges gilt. Spine edges worn; left side showing a separation of the boards, but still firmly attached. Gilt is bright. 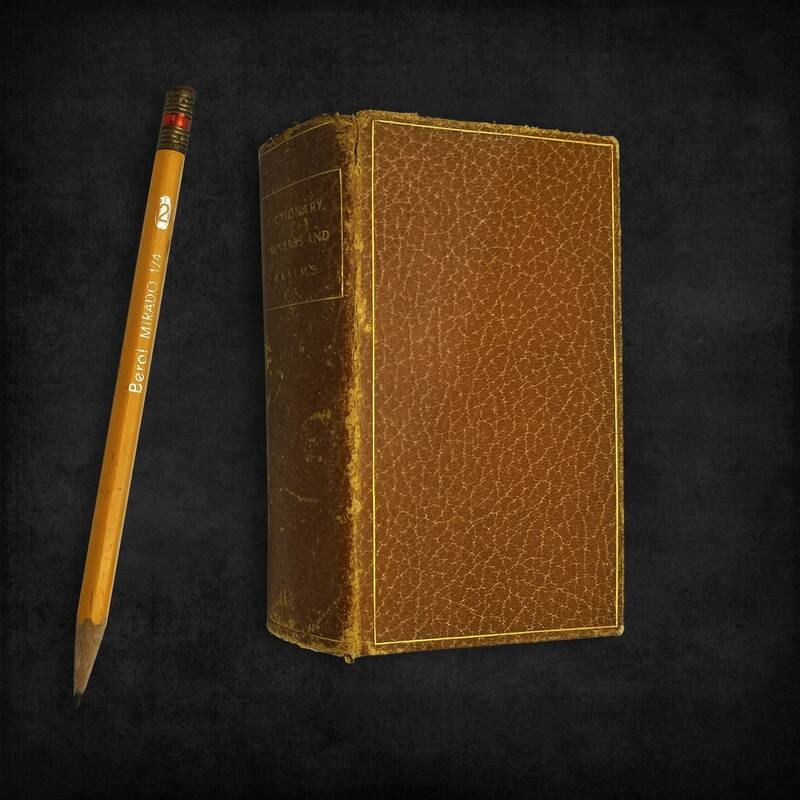 Two books in one: a Dictionary and a Proverbs and Maxims categorized by subject. Also includes a 20 page section of Latin and French phrases. 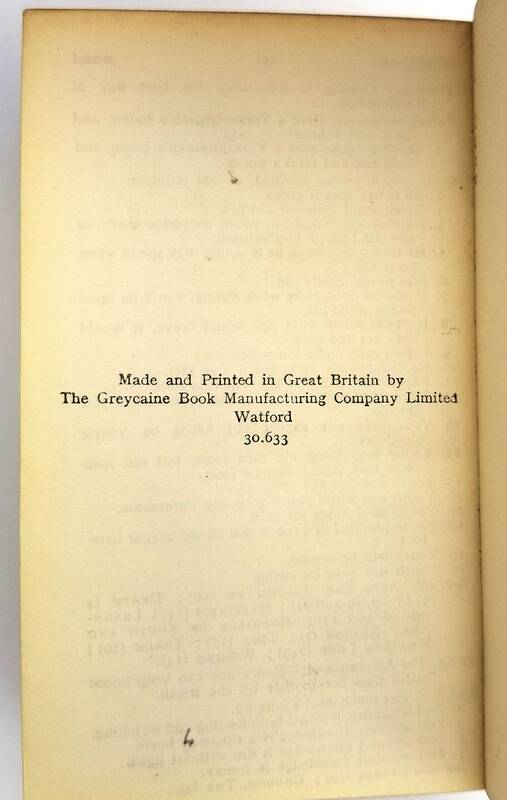 The Greycaine Book Manufacturing Company was one of the pioneers in the mass production of good quality books sold at accessible prices. Founded around 1908 by Frank Grey and Ralph Hall Caine, the company moved to Watford in 1926, and was eventually sold off by 1942. Size: 4.25 x 2.25 inches. Pages: 450, 251 (671 total) pages.